Late of Victoria Street Taree, formerly of Tinonee. Passed away peacefully on Thursday 4th April 2019. Beloved husband of Yvonne. Loving Father of Donald, Wendy and Peter. A much loved Grandfather and Great Grandfather. Will be dearly missed by all his extended family and friends. 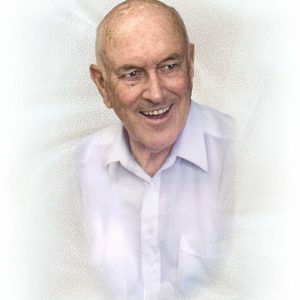 The relatives and friends of the late Don McKellar are respectfully invited to attend his Funeral Service to be held at St Johns Anglican Church, Victoria Street Taree, commencing at 9.30am on Thursday 11th April, prior to his private cremation. Donations in lieu of flowers to Epilepsy Australia would be warmly appreciated. If you would like to speak with us in more detail about what your needs or concerns are, we can phone you at any time that is convenient to you, or we can arrange an appointment for you to meet with us. Copyright © 2013-2019 Becker Family Funerals Taree. Enter your details into the fields below and we can call you back to help you make arrangements.